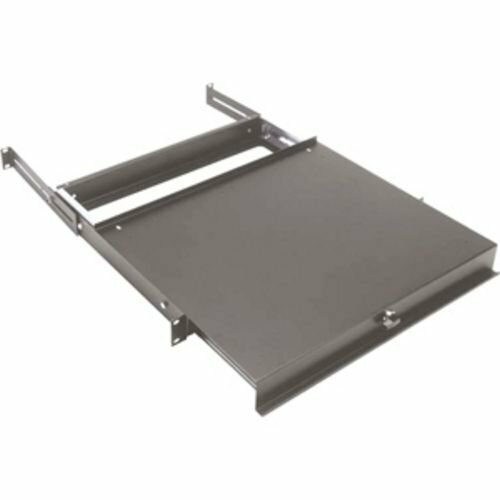 1 Pack of Heavy-Duty Sliding Shelf, 19" standard installation designed for 600mm,800mm deep Network/server cabinets and 600mm, 800mm deep 4 post open racks. Supports up to 80 lbs. Easy mount to your cabinet/rack rails. 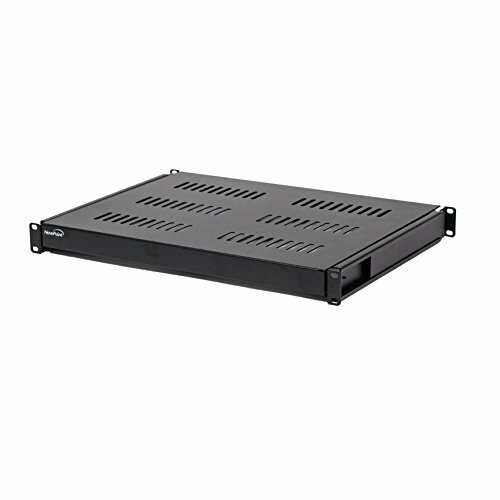 Designed for 600mm, 800mm deep 4 post open racks, 600mm,800mm deep Network/server cabinets. Accommodates tower units, monitors, and other equipment. Adjustable mounting depth from 15" to 24", Shelf extends up to 9". Cold rolled steel:1.2mm. Color: Black. 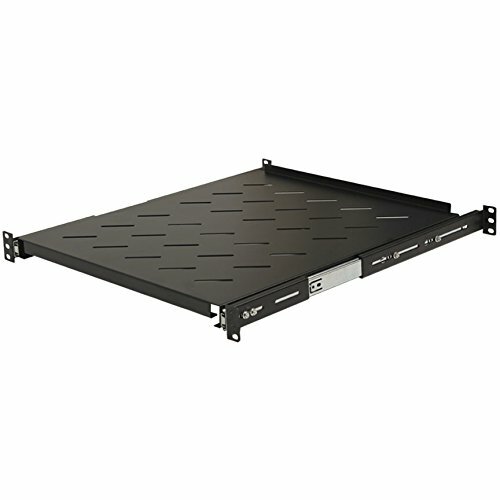 Self Dimension: W: 19" D: 14" H: 1.75"
The UNISLDSHF19 19in Vented Adjustable Mounting Depth Sliding Server Rack Cabinet Shelf offers a simple way to install non rack mountable equipment into a server cabinet or open server rack. This TAA compliant product adheres to the requirements of the US Federal Trade Agreements Act (TAA), allowing government GSA Schedule purchases. Offering a weight capacity of up to 50 lbs (22.7 kg), the sliding rack shelf features a ventilated, cold-rolled steel shelf on two locking adjustable rails which allow the shelf to be installed into cabinets or racks with mounting depths from 20in (510mm) to 30in (744mm). The locking feature locks the shelf 3/4 of the way out, preventing the shelf from accidentally falling out of the rack or sliding back in before maintenance is complete. Backed by a StarTech.com lifetime warranty. This line of NavePoint shelves is designed to mount rack equipment into a 600mm depth cabinet. It has slotted venting to reduce the possibility of overheating. Made of high quality cold rolled steel with an electro-static powder coated finish that protects them from rust and corrosion. Comes assembled. Middle Atlantic - Rack shelf (sliding) - 14"
This line of NavePoint shelves is designed with flexibility in mind. The depth can be adjusted from 20 to 25 inches. It has slotted venting to reduce the possibility of overheating. Made of high quality cold rolled steel with a powder coated finish that protects them from rust and corrosion. Comes assembled. Includes 2 shelves. This low profile sliding tray with universal equipment fixing points is a great alternative to standard rack shelves. 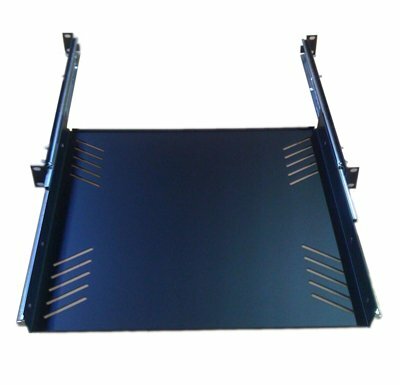 Features fully adjustable front and rear racking ears to compensate for mounting in racks ranging from 14-1/2" to 22" deep and ball bearing sliders. Occupies one rack space (1U). 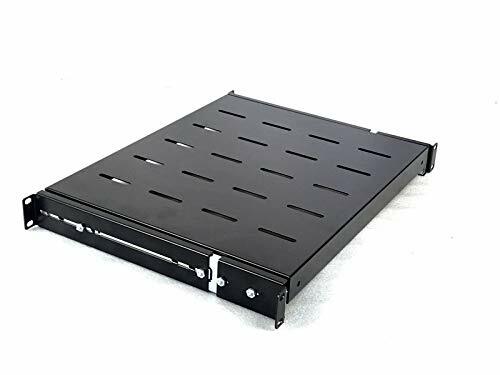 NavePoint Sliding Rack Vented Server Shelf 1U 19" 4 Post Rack Mount Adjustable 20" - 25"
This line of NavePoint shelves is designed with flexibility in mind. The depth can be adjusted from 20 to 25 inches. It has slotted venting to reduce the possibility of overheating. Made of high quality cold rolled steel with a powder coated finish that protects them from rust and corrosion. Comes assembled. 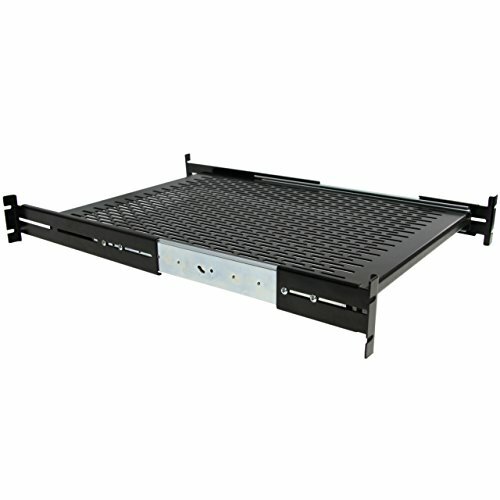 Size: 36" x 18"36\" x 18\"
Sliding Fixed Rack Server Shelf 1U 19" 4 Post Rack Mount-Adjustable 24"-32"
Sliding Rack Server Shelf For 1U 19" 4 Post Rack Mount-Adjustable 31"-42"
Want more Sliding Rackmount Shelf similar ideas? Try to explore these searches: Pocket Memory Foam, Baby Soothing Milk Bar, and Celtic Key.